Could Your Home Virtually Sell Itself? Could a virtual reality broker’s open get your home maximized exposure with even less inconvenience? One of the biggest inconveniences when selling your home is keeping your home magazine-ready all the time…just in case that perfect buyer wants to stop over for a showing in 15 minutes. This is one of the reasons why many real estate brokers hold a broker’s open–a tried and true real estate tool to gather real estate professionals to preview a property–maximizing exposure with minimal intrusiveness for the homeowner. But, what if you could get greater exposure with even less inconvenience? That’s what Anthony Colantuono and Mike Crimaldi, of Coldwell Banker Hunter Realty in Brecksville, Ohio set out to achieve. 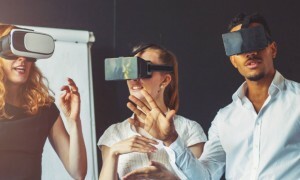 Colatuono & Crimaldi decided to turn the broker’s open on it’s head…or rather on other’s heads by offering a virtual broker’s open that could all be experienced through a virtual reality headset. 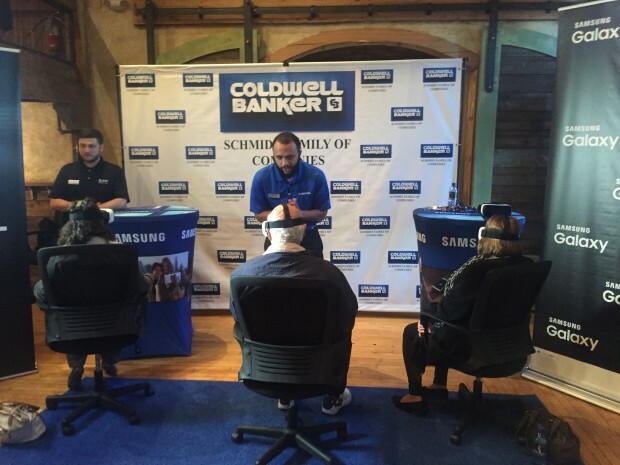 After experiencing virtual reality (VR) by trying on a Samsung GearVR headset at an industry conference, they knew this was what they needed to take the broker’s open to the next level. Immediately seeing the potential for application in their own business, the pair decided to host a virtual broker’s open 20 miles from their office to increase exposure for a $1.65 million property. They loved the idea of capturing the attention of real estate agents who might not otherwise attend such an event because of distance. And instead of asking the homeowner to open their home to a gaggle of real estate brokers for the evening, they invited 120 guests to a local restaurant to virtually take a tour of the property. Colatuono and Crimaldi used a Matterport camera to take a 3D scan of every inch of the home. 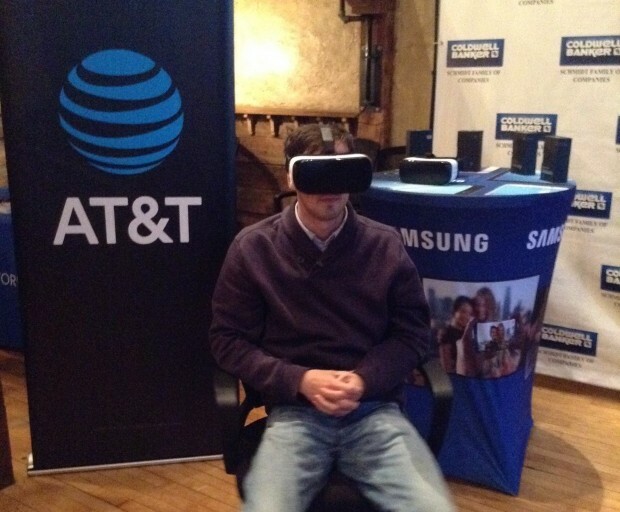 They invited local AT&T and Samsung representatives to attend the event and help guests put on the Samsung GearVR headsets. As guests donned the headgear, they were transported to the spacious interior of the luxury property. The Matterport scan allows viewers to take a self-guided tour, selecting which rooms they’d like to spend more time in. 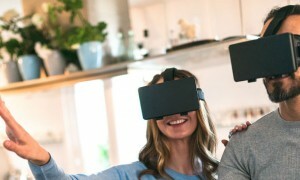 Because of the immersive experience one has in the VR headset, viewers truly feel as though they are standing in the living room. “It is so realistic that many actually reached down to hold the railing as they virtually walked down the steps.” Crimaldi says. The owners of the home even stopped by to see their home in VR. Their favorite part? They didn’t have to clean the dishes in the sink before they left the house! If you’re planning to sell your home, be sure to ask your real estate professional if they would recommend a virtual reality open house. 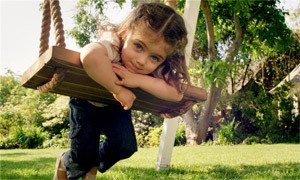 And watch your home virtually sell itself! Virtual reality may just be the competitive edge your home needs in a crowded marketplace.